Hi! How was your weekend?! We had our last weekend in London. On Saturday we spent the day in Holland Park where the girls watched the Alice's Adventures in Wonderland children's opera, it was so fantastic! And today, it's back to Southern Sweden and the last day of our holidays sniff sniff! 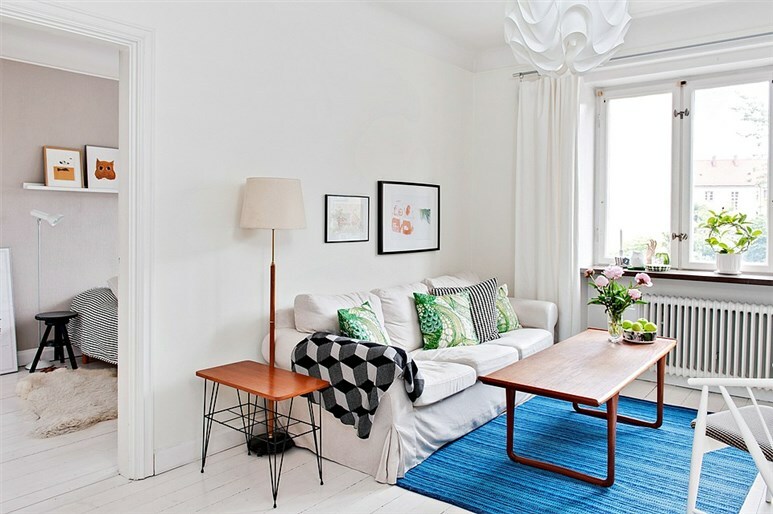 But all is not lost as this lovely Swedish apartment has brightened up my day with it's lovely mid century furniture, vibrant lime greens and bright blues and it's only 53 metres square, how inspiring! What do you make of the lime green / blue colour combination? 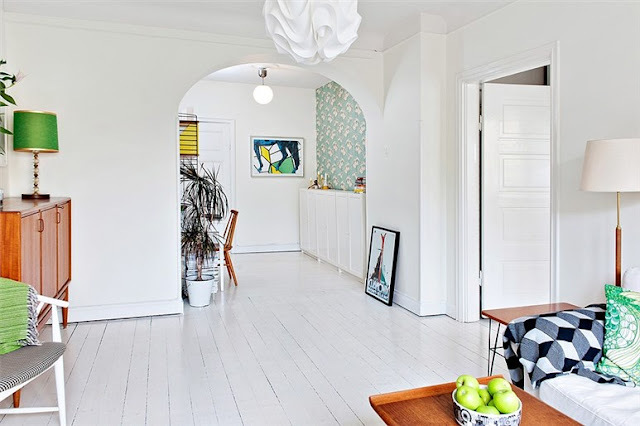 PS For Scandinavian mid century furniture try Lauritz auction house. The lovely wallpaper in the kitchen is by Svenskt Tenn.
We definitely should! I'm often coming over so I'll send you a mail next time, would be great to meet you! I don’t usually go for bright colour combinations but against that neutral and simple background, it really works! 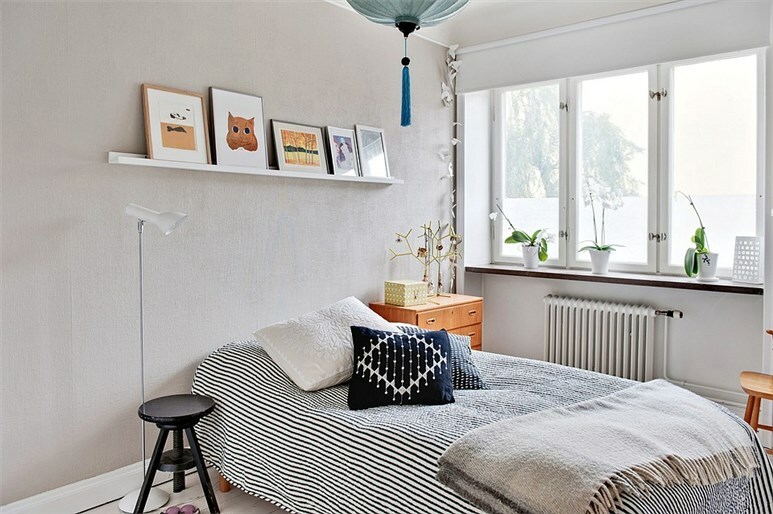 The last room is my favourite – it’s so relaxed and homely! I would like to see better the wallpaper on the 4th image, it is not the same as on 2nd image? Thank you for sharing, it is lovely apartment! A lovely home! I like the colours...bold and distinctive, a very confident choice. 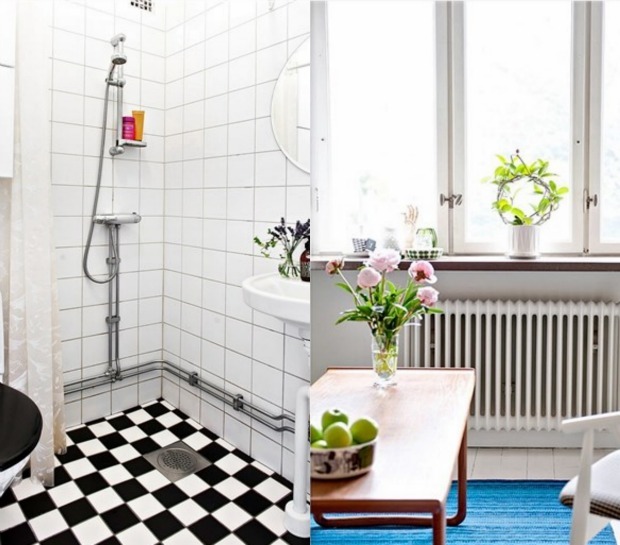 And love the black and white tiles in the bathroom! fresh and fun! i love the wallpaper in the house...just a small amount but a huge impact. I can surely title this article content as the best one ever written in commercial kitchen design catering equipment ranges. It’s highly educating, informative and practical with its approach. All thanks goes to the writer. 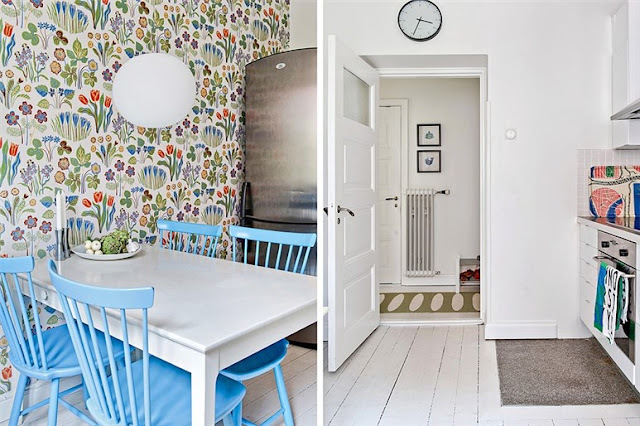 I love the wallpaper in the kitchen! Súper bonita, delicada y funcional.